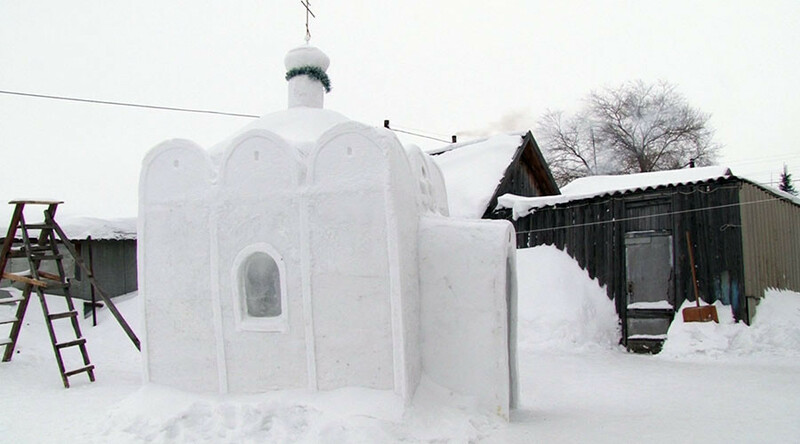 A man in a remote Siberian village has built a church in the Omsk region made completely out of snow. He spent 45 days carving out his nearly 10 foot- (3 meter-) tall masterpiece until he was blue in the face. Aleksandr Bityokhin, a former construction worker, was burning the midnight oil building the chapel so that Orthodox believers in Sosnovka would have a church of their own, even if a temporary one. 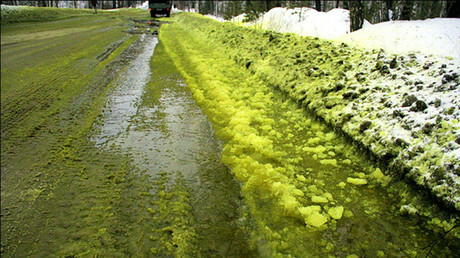 The nearest church is in the city of Omsk, dozens of kilometers away from Sosnovka, and the elderly and children are simply unable to make the trip. It took as much as 12 cubic meters of fresh white snow to construct the church from scratch, the first in the neighborhood. Luckily, there was no problem with construction material, says Aleksandr, who had to quit his regular job at a construction site after being diagnosed with a serious disease. The hardest thing was to carve out the altar and dome with a wooden cross out of hard-packed snow. Fellow villagers took Aleksandr by surprise by bringing beautiful icons to the new church.